Here at Lekker, we are passionate about producing the best in cruiser bikes, which is why we are very proud of our Sportief 7 Speed model. 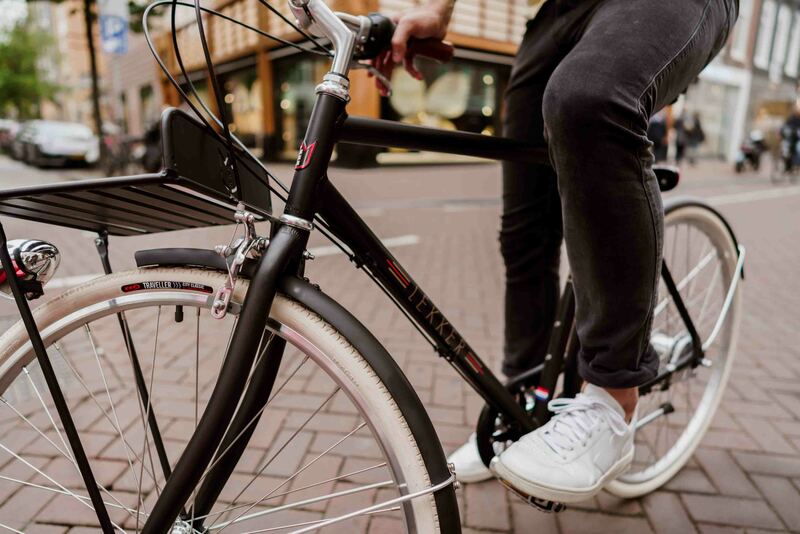 Our Sportief 7 Speed, packs a whole range of features that are sure to help you get from A to B not only efficiently, but in the upmost style and ease. 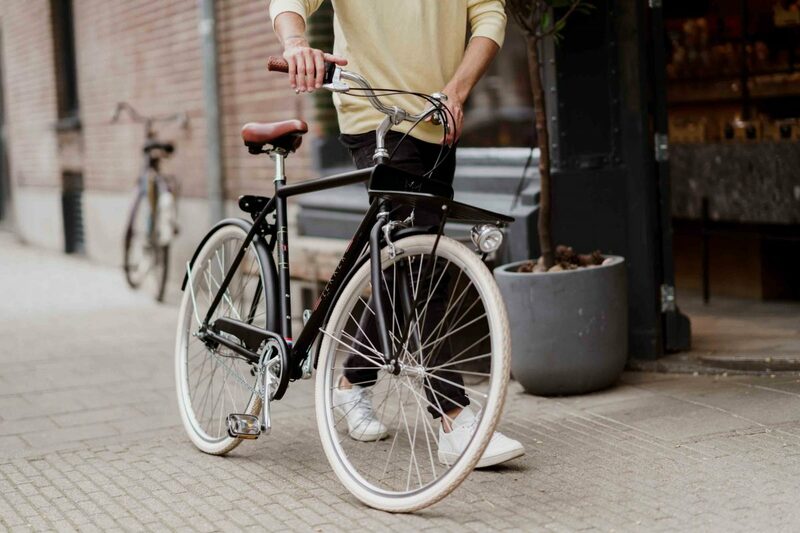 The Lekker Sportief 7 Speed – packs a lightweight frame (13kgs), a Shimano 7 Speed Hub, a Double Hand Brake, 3 colour options, and is all rust-free. Read on to hear all about its features, and, how it may be the ideal option for your new Summer cruiser. The Lekker Sportief Mens 7 Speed bike, comes in at a very light 13 kg. With the frame as well as the fork being made of 100% aluminium, the bike is surprisingly lightweight, allowing you to move around with comfort and in ease. 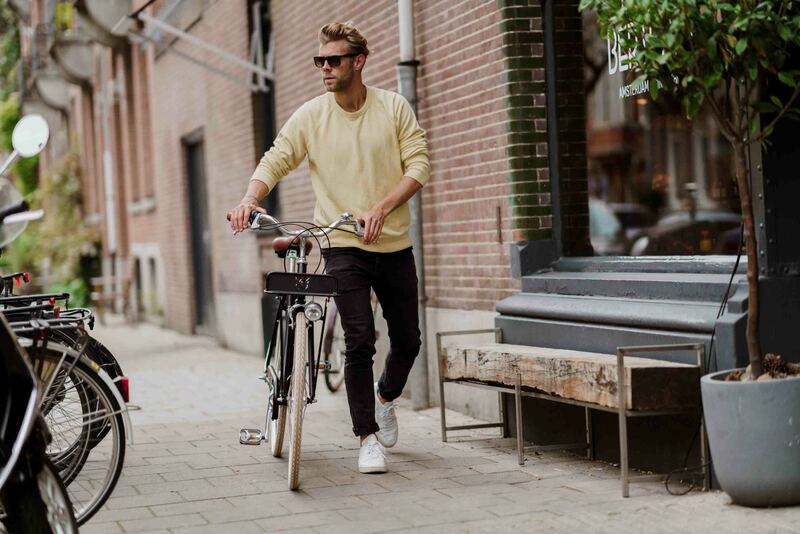 In contrast to older frames made with steel, aluminium allows for a low-maintenance bike, that is resistant to weathering under harsh environmental conditions. It will not swell, crack, split or warp over time – ensuring a long and extended product life. The Sportief Mens 7 Speed, comes fitted with an internally geared Shimano 7 Speed Hub. Essentially, this means that the gearing of the bike, is fitted inside of a rear-based casing or ‘hub’, fixed within the centre of the rear wheel – further details on this down below. The 7 Speed Hub, allows for a wide range of gears to be shifted through, meaning it’s the ideal ride for all styles of terrain – whether it’s inner city cruising on the flats or, out in the hillier terrain of the paths and trails that surround the city. The Lekker Sportief Men’s 7 Speed, comes fitted with a double hand brake – produced by Shimano. High quality componentry translates to a safe, and easy to use braking mechanism that is perfect for riding in all conditions – whether you’re riding on one of our commuter bikes or vintage bikes, or you’re riding through the city or out on the trail, wet, or, dry – the Shimano double hand brake ensures you stay safe as you need to slow, whetever may appear on the path ahead of you. Deep Blue, Glacier Grey, or, Classic Black. The Sportief Men’s 7 Speed, comes in three different colour choices – Deep Blue, Glacier Grey or Classic Black. If you’re after a mature looking, yet classy ride – the Deep Blue may be what you’re searching for. If it’s a sleek and shiny finish that you’re in search of, then the Glacier Grey might be the one. Or, if you’re after an understated, yet functional look and feel – the Classic Black may be most suitable for you! 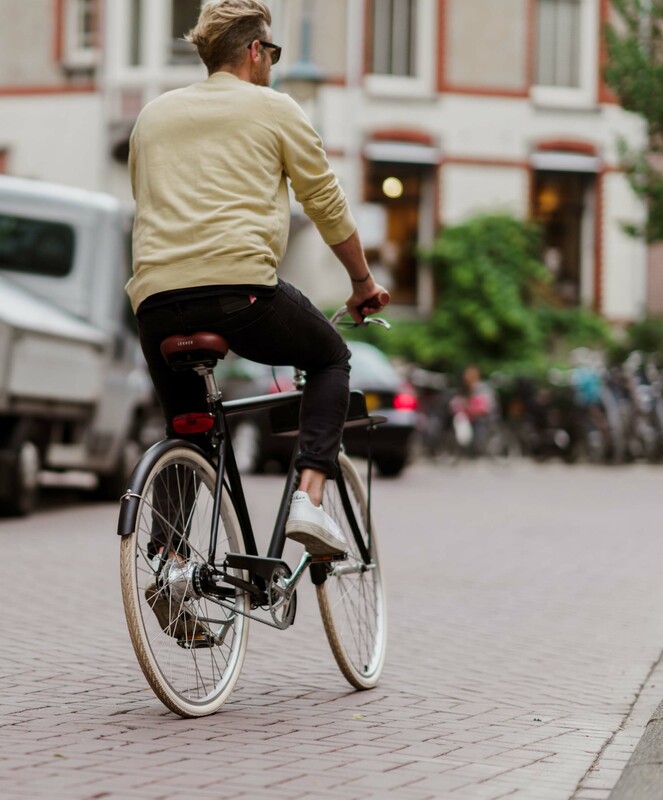 As with all of our rides here at Lekker Bikes – Vintage Bikes, Commuter Bikes and E-Bikes, our Sportief Men’s 7 Speed is completely rust free. With a frame and a fork made of 100% aluminium, it means the bike is not only rust free, but it’s also impressively light as well. Even though it is rust free, we do recommend being wise when it comes to storing your ride – ideally within a safe and dry place. What Are The Shimano Integrated Hubs? And – How Do They Improve Your Commute? The Shimano Integrated-style Hub, is a gearing system that is concealed within the rear wheel of your bike – inside of a casing, or ‘hub’, that sits in the middle of the rear wheel of the bike. Because the gearing componentry is concealed within the rear hub, it is protected from weathering – water and grit, as well as impacts. This means, it requires less maintenance and replacement of parts compared to the older styled derailleur systems. One particular advantage of the hub-based system, is that you’re able to change between gear ratios whilst stationary – which can be really useful for all types of terrain and conditions. For commuter cycling with frequent stopping, as well as for hillier rides where the terrain may be rougher and more unexpected at times. Conclusion – Book A Test Ride. As with everything in life, there’s only so much that we can mention here. At the end of the day, it’s up to you and your personal experience. This is why, we invite you to visit one of our branded shops, in either Melbourne or Sydney, to come and experience our bikes for yourself. Whether you’re looking at Vintage Bikes, Commuter Bikes, E-Bikes or Kids’ Minis, we have a wide product range suited for all cycling needs. Come in to one of our shops today, or book yourself a test ride to experience Lekker for yourself. Happy and safe riding – from the Lekker Team.